The latest in packaging, shipping, and corrugated cardboard boxes. We provide small business with the how-to for keeping business-thinking inside and outside the box! Beginning 2015, in an effort to decrease per package density, UPS and FedEx will change to the way shipping costs are measured for all packages. In order to better align shipping rates with costs, both the size and weight of packages will be considered for all shipments including those sent via ground delivery. By subjecting all packages to dimensional weight billing, also known as Dim weight, carriers hope to encourage retailers to make better packaging decisions. By right-sizing shipment packaging, carriers can maximize the number of packages being transported per truckload. 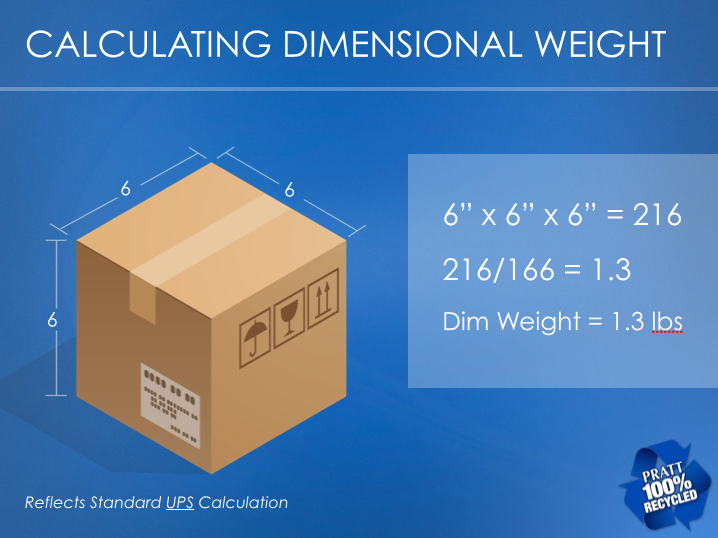 Knowing how to accurately calculate a package’s dimensional weight will ensure you’re not overpaying for shipments. Although the formula varies slightly from carrier to carrier, the basic dimensional formula is length x width x height divided by a dimensional factor. For both UPS and FedEx, the current dimensional factor is 166 for domestically shipped items and 139 for internationally shipped items. Typically, the result is rounded up to the nearest pound or kilogram. For irregularly shaped containers, shippers should measure the package at the greatest dimensions. For shipments using poly bags, anything over 12’ x 12’ x 1” will qualify for dimensional weight shipping. With the move towards Dim weight based rates, choosing the right packaging is more important than ever for retailers looking to reduce shipping rates. Selecting the smallest box possible that will still ensure product protection will be essential. Efficient packing of products to maximize use of the entire box space will help to optimize shipping budgets. Using stronger corrugated boxes will also help to prevent bulging of the sides of the box and will better protect the box contents. In addition, using lighter and more effective cushioning products will help protect products being shipped without taking up excess space. Ultimately, because the cost of packaging is typically far less than the cost of freight, it may make sense for high volume parcel shippers to implement wholesale changes to their packaging specifications. Even if the packaging has a slightly higher cost, the freight savings provide significant overall cost savings. As mass retailers examine their omni channel sales strategy, shipping from stores in closer proximity to the customer using optimized packaging may change the entire fulfillment strategy. The forthcoming changes in dimensional weight billing could have a rippling effect on how retailers manage their supply chain. By minimizing wasted space through proper box selection, retailers can better protect themselves from huge shipping rate increases as a result of this new shipping rate change. Retailers should consider this change as an opportunity to improve order fulfillment and shipping operations and take a more strategic approach towards the selection of protective packaging for their products. This article is one of a three part series focused on this move towards volume based weight calculation. Stay tuned for Part Two: Carriers to Convert All Shipments to Dimensional Weight Pricing Method: Why the Change and How Will It Impact eCommerce? 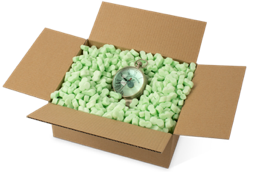 and Part Three: How to Optimize a Package to Minimize Shipping Cost Under Dimensional Weight Pricing Method.